Abdullah had on November 11 had said that PoK belonged to Pakistan and "this won't change" no matter how many wars India and Pakistan fight against each other. 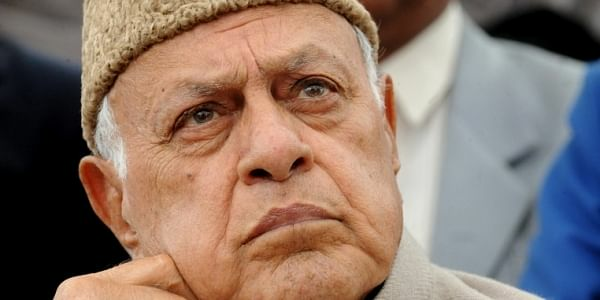 NEW DELHI: A PIL was today filed in the Delhi High Court against National Conference President Farooq Abdullah seeking action for his reported controversial remarks on Pakistan-occupied Kashmir (PoK) including that it belonged to the neighbouring country. The plea, filed by Delhi-based Maulana Ansar Raza who claimed to be a social activist, has sought "immediate investigation" and "arrest" of the Srinagar MP alleging that he favoured Pakistan and insulted India. It alleged that Abdullah "always makes such controversial remarks and statements by which the nation and its people feel ashamed of such persons being Indian citizens". It also sought cancellation of Abdullah's passport. "I tell them in plain terms -- not only the people of India, but also to the world -- that the part (of J&K) which is with Pakistan (PoK) belongs to Pakistan and this side to India. This won't change. Let them fight how many wars they want to. This won't change," Abdullah had said.